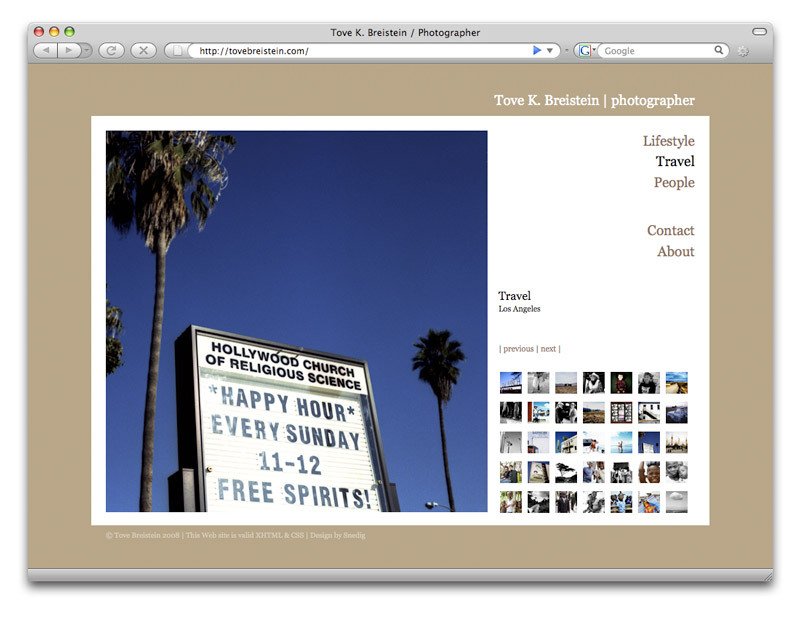 Photographer Tove K. Breistein has a brand new web site with a clean design to show off her work. 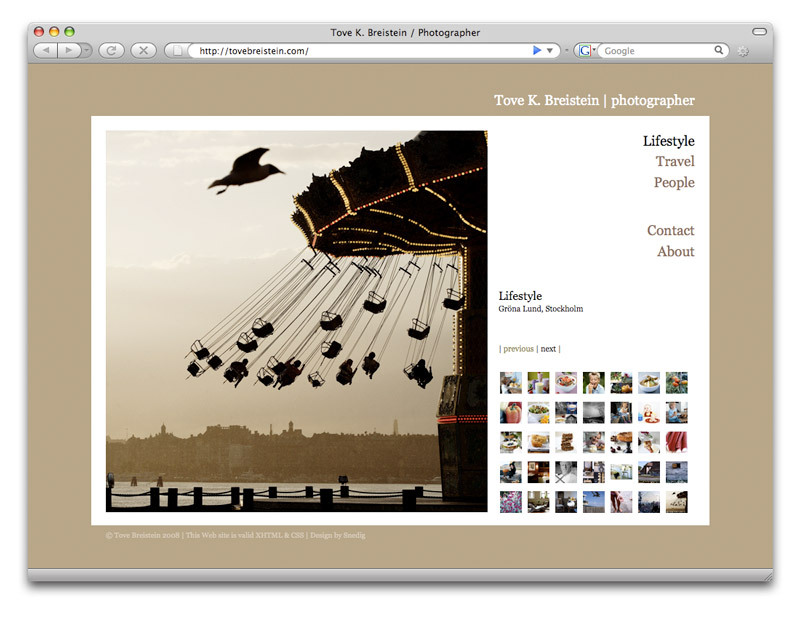 Her photos are large and easily navigated, and visitors are not bothered with meaningless flash animations as on too many other portfolio sites. 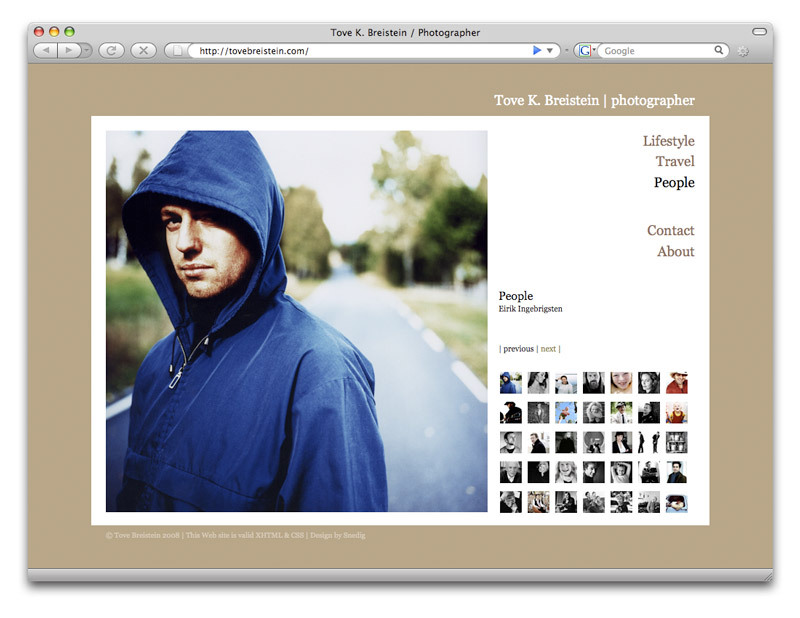 Because the site is built with simple HTML, Breistein can easily grab links for single images for sharing with others: This cake looks fabulous. Roadtrip to Liberia. One beautiful beach.